1xThis is a description of single unit. You get 1 such units. 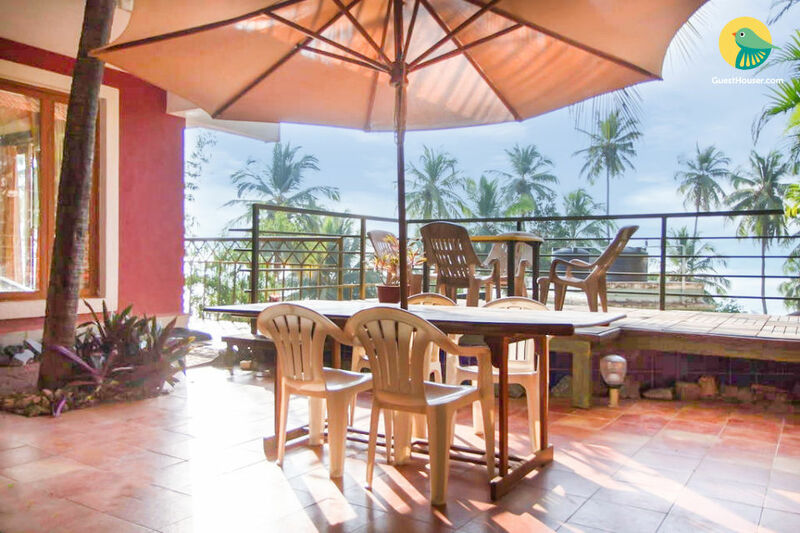 Situated in the vicinity of Dona Paula and Dias Beach, this is an offering of a private room in a villa, which can accommodate two people. 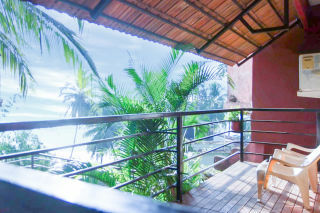 The retreat boasts a swimming pool and a tranquil view of the sea at a distance, and the room is ideal for a couple. Breakfast is complimentary here. Your Space A courtyard with lush garden shrubbery, potted plants, tall palms, and comfortable coffee seating greet you into the brick-red hip-roofed villa. 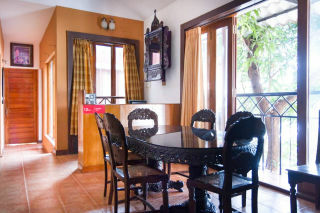 This holiday home is well furnished for a comfortable stay. 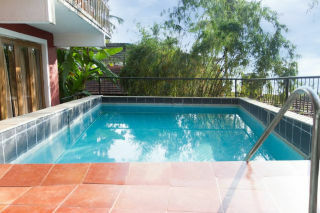 A pool sits at one part of the property, so you can enjoy a delightful swim on a balmy day. The living room houses cushioned wooden seaters and a coffee table, thus inviting you to catch up with fellow travellers. There is a six-seat dinette, which ensures your mealtimes are enjoyable. 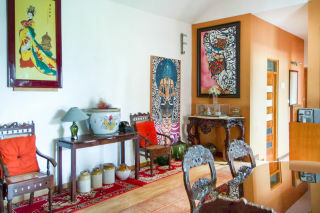 This space is accentuated by beautiful old-world paintings that lend it a cordial charm. 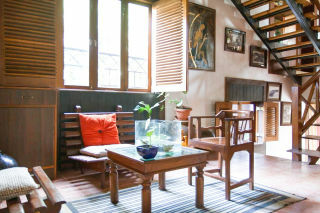 The room on offer is furnished with a comfy double bed with side tables, cabinets to store your belongings, a writing desk, and a wall-mounted mirror for convenience. Wide glass-fitted windows provide an uninterrupted view of the surrounding scenery. The en suite washroom is tiled and appointed with western sanitary ware. The property features a balcony sit-out too, ideal for some quiet time and a lovely view of the ocean in the distance, with palm fronds swaying in the breeze. Guests are requested to provide valid ID proof at the time of check-in. Guests are not guaranteed any refund post booking confirmation, regardless of length of notice period provided to the host. Hello, I had an amazing stay in a villa. Place was too good .We enjoyed a lot at the beach. Information provided just exactly the same. Everything was good but just one thing i need to mention is arrangement of the food will be more. Well, its not a complaint its just a feedback . It was a wonderful property to stay in.. 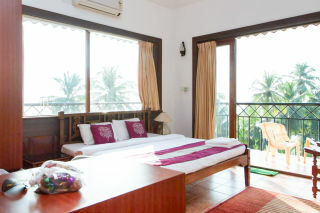 Rooms had a nice view and were maintained really well. Had a great stay at a great place. Kadamba Bus Stand, Panaji-8 km. Would you like to share your search? You cannot book your own property. Come get on the GuestHouser bandwagon! It’s okay! Reset your password. Please check your email, we have sent a reset link.